Beijing’s 2017 decision to ban imports of 24 varieties of trash brought to light the real destination of most Western recyclables: They were shipped to Chinese factories, where they would be cleaned up and repurposed into raw materials. China bought half of all US scrap last year, and has recycled 72 percent of all the world’s plastic since 1992, according to a study in the journal Science Advances. All of that abruptly came to a halt when China decided to stop almost all imports of paper and plastic waste, and have set a 5 percent ceiling on contaminants in cardboard and metal waste, which most US trash processing plants have been unable to meet. Garbage previously shipped to China is now piling up in places like the processing plant in Elkridge, Maryland, where tons of trash arrive every day from the US capital. The District is already paying $75-a-ton for recycling, and only $46-per-ton for garbage that is being burned to generate electricity. “There was a time a few years ago when it was cheaper to recycle. It's just not the case anymore,” said Christopher Shorter, director of public works for Washington, DC. The city is reportedly thinking of charging residents for garbage by weight. 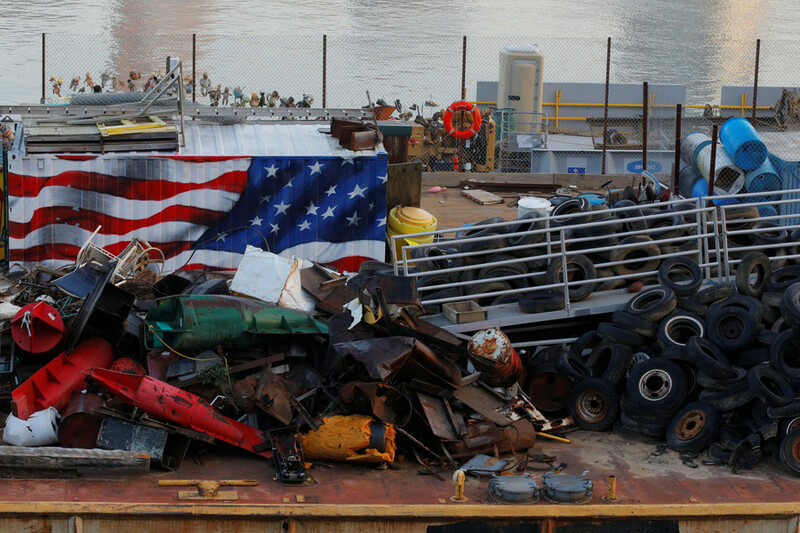 The US has very little domestic capability to process and recycle waste, having become used to literally shipping it overseas for decades. One conservative columnist pointed to the pileup as proof that recycling has been a scam all along. “The dirty secret of recycling is that it depended on the willingness of Third World countries to greenwash our trash so that progressives could pretend that their moral garbage was saving the planet,” Daniel Greenfield wrote in Front Page magazine on Thursday. Complicating matters further is the ongoing trade war between Washington and Beijing. The Trump administration has imposed tariffs on a number of Chinese imports, with China responding in kind. 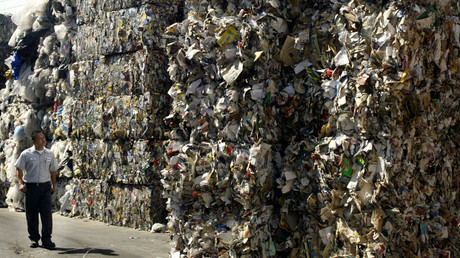 In March, the US delegation to the World Trade Organization demanded that Beijing continue buying up US waste. 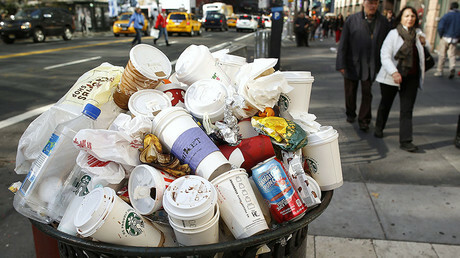 Beijing responded by announcing it would stop buying 32 additional varieties of waste.